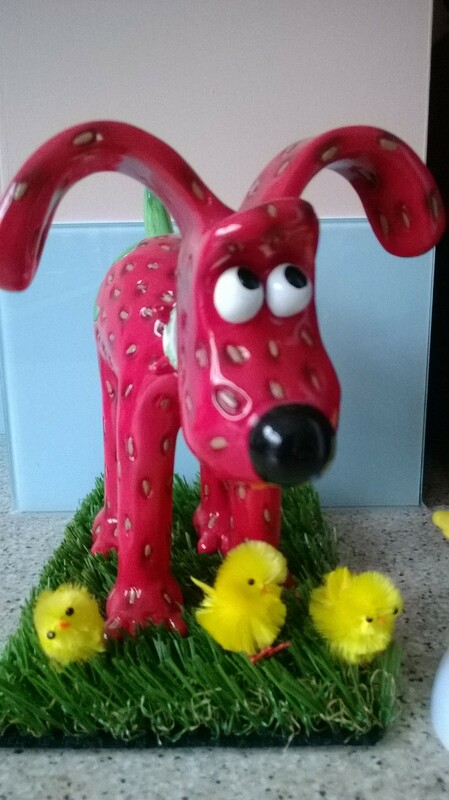 I cannot resist an opportunity to bring some extra sparkle to our home , so have been busy this week decorating the house ready for Easter. 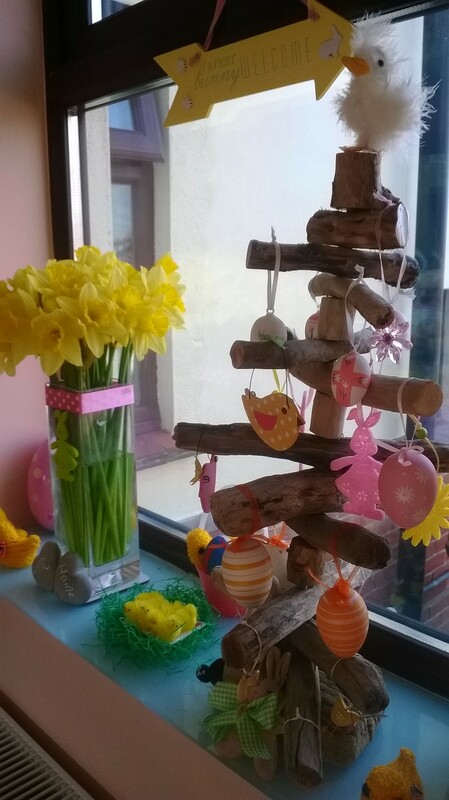 Its a collection built up over the years complemented by this year’s school craft projects and Easter bonnets. the main decorations are in the Living Room around the fireplace and the Kitchen on a window sill. 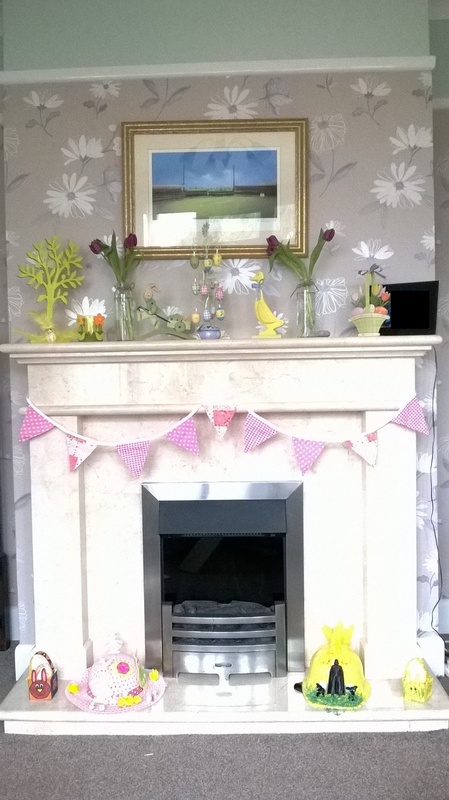 One of the essentials of my displays are bright, fresh flowers to bring colour, smell and vibrancy to the theme. 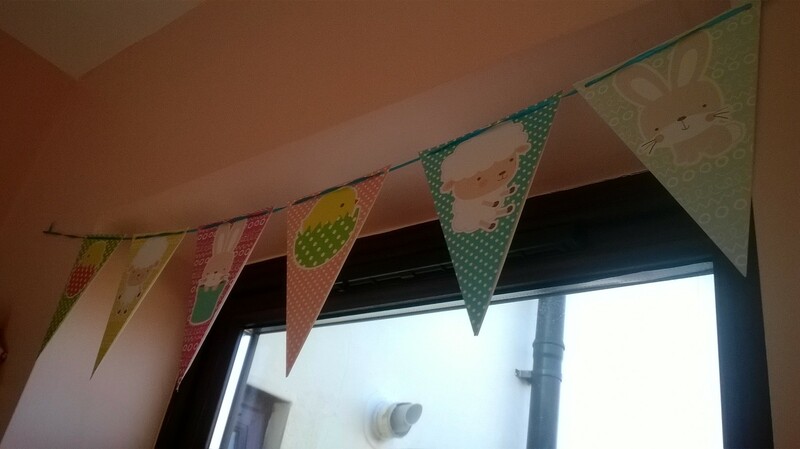 I do like my bunting, so there is more in the Living Room! I am a little disappointed with my tulips this year, the promise of the bright buds has not matured and at only a few day’s old I think they look like they’re withering. However there is plenty of cuteness here with the decorations. 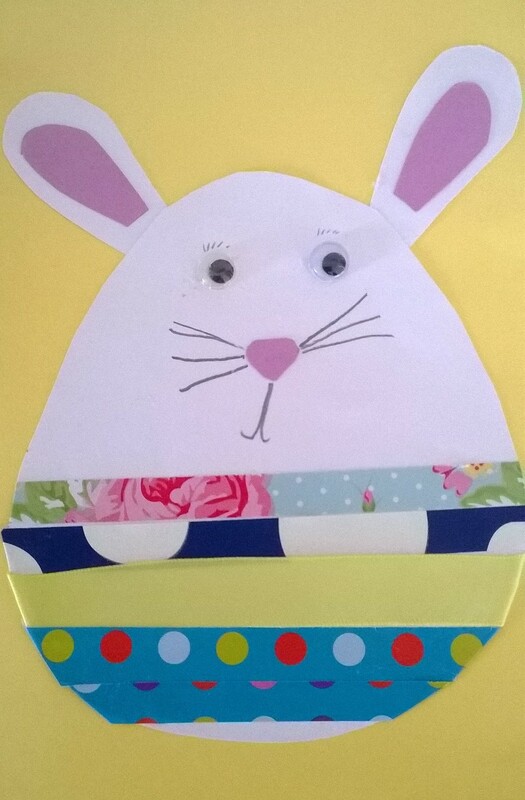 Finally here is Little Miss’ Easter card this year which I love!